It’s New Zealand Chinese Language Week—a chance to celebrate and discover Chinese language and culture, and increase New Zealanders’ connections with China. Chinese language learner Anna de Boer, who is completing a Bachelor of Arts majoring in Chinese and Sociology at Victoria University of Wellington, shares what’s important to her about studying Chinese, and the many doors that learning the language have opened. 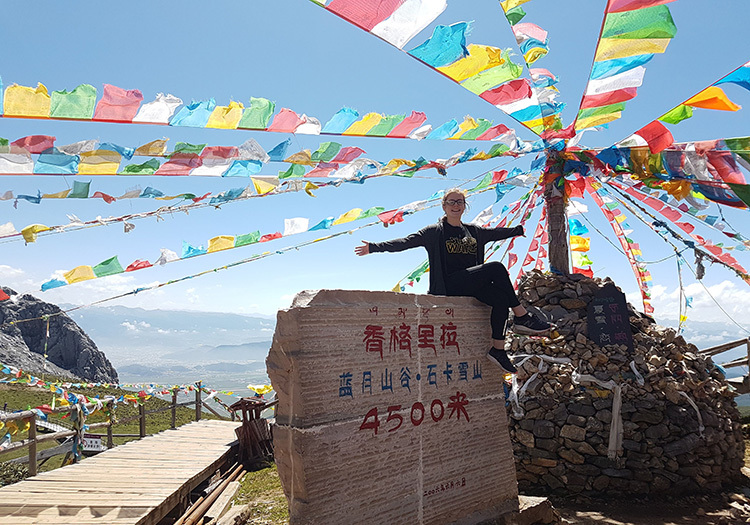 Anna sits at an altitude of 4,500 metres, on top of the mountain in Shangri-la in the Yunnan Province (close to the border of Tibet), one of the many places Anna had the opportunity to visit during her exchange to China last year. How long have you been learning Chinese? I’ve been studying Chinese for around seven years. I started learning the language when I was at high school and have been studying it ever since. What opportunities have you had from speaking Chinese? Last year I was awarded a Prime Minister’s Scholarship for Asia for my exchange to Fudan University in Shanghai to study the Chinese language, which completely changed my life. My Chinese improved so fast, and I went from being able to hold only basic conversations to being comfortable talking fluently in most situations. 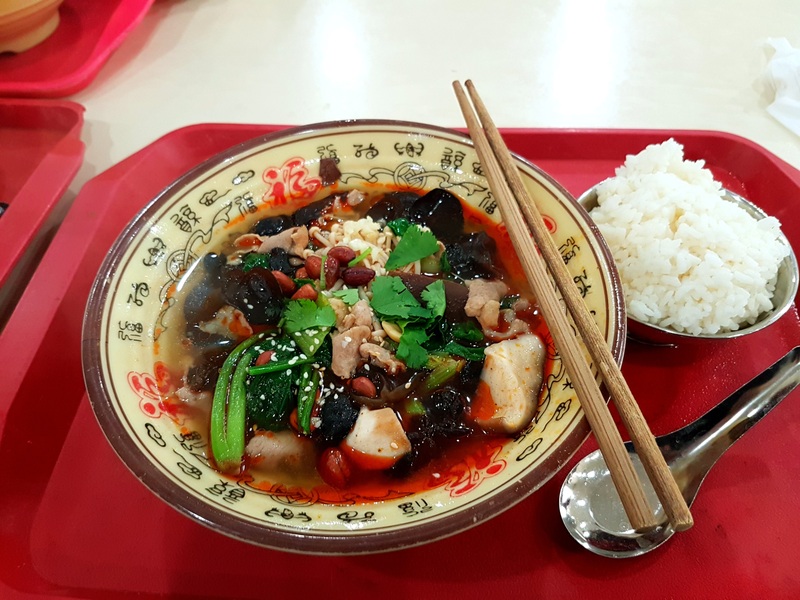 A bowl of Mao Cai (冒菜), one of Anna’s favourite cafeteria dishes that she ate almost everyday while studying in China. It’s a Sichuan dish that is ‘mala’ (麻辣), which means numbing spicy. I also had the opportunity to travel all around China, from the city of Shangri-la in the mountains of Yunnan Province, to the big sights like the Great Wall of China and the Terracotta Warriors. I also got to spend time at my friend’s old hometown in the middle of the Fujian countryside. Earlier this year I competed in the Chinese Bridge Speech Competition, a famous international Chinese Language competition for non-native speakers, and made it into the top 30 at the tertiary level. This meant I was lucky enough to represent New Zealand at the world finals in Changsha, China, with the event broadcast on China’s most popular television network. Being surrounded by some of the best Chinese speaking students from all around the world was a great opportunity to try and improve my Chinese and inspired me to keep working to get better. Anna competed in the final of the Chinese Bridge Speech Competition, held in Changsha. This competition is a reality TV show in China, with some parts involving contestants playing Chinese mini-games. Why do you think it’s important to learn Chinese? Chinese is the most spoken language in the world, and every day on campus I hear someone speaking it. Apart from being a popular language, I think Chinese is important to learn because it is challenging and fun! There are so many aspects of the language that are completely different from English or other Romance languages—the tones, the characters, the grammar, and more. Learning a language that’s really different from one’s own is a great way to work your brain! 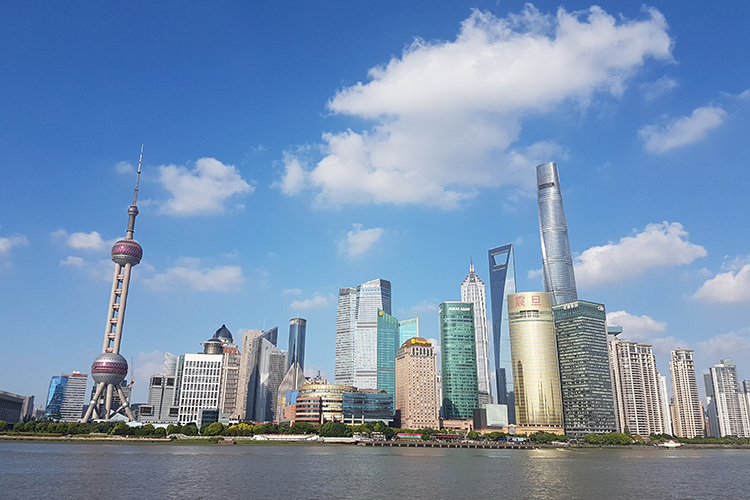 The Shanghai skyline, featuring the Shanghai Tower (right), which is the second tallest building in the world. The tower’s observation deck is the highest floor in the world that is open to the public. What’s your favourite Chinese phrase? My favourite Chinese phrase is 乱七八糟. It’s a four word idiom that roughly means ‘chaotic’ or ‘all over the place’. As we reach exam and essay season, I think a lot of students can relate to this!